Christmas Teaser – Which Title Has This Artwork? 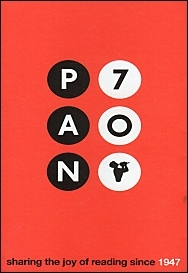 This is the original artwork for a PAN title from 1971 which I recently acquired. Unfortunately it is not signed nor is the artist acknowledge on the book cover. It is part of a series of this authors work all done in a similar style. If you want to know the answer scroll down for the answer link. As this will be the last blog before Christmas can I just wish all our readers a very happy one and a successful book buying New Year. 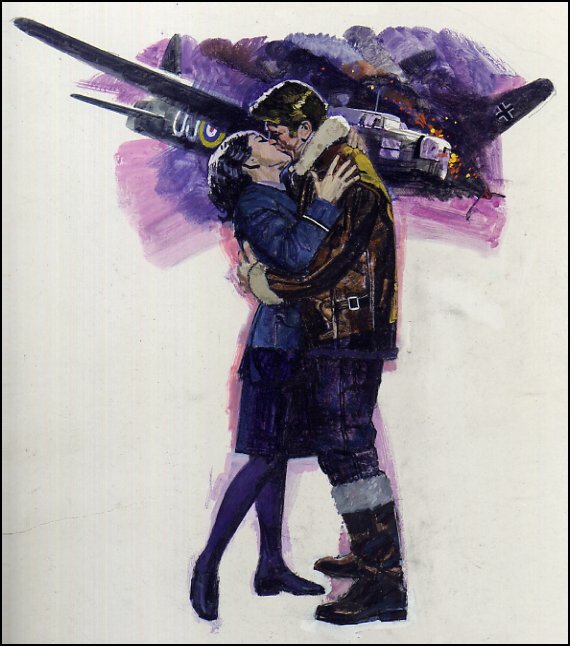 Click here to see from which book the artwork comes. I do have some more from this series which I will be adding when I find them and of course if you know who the artist might be I’m sure you’ll let me know! 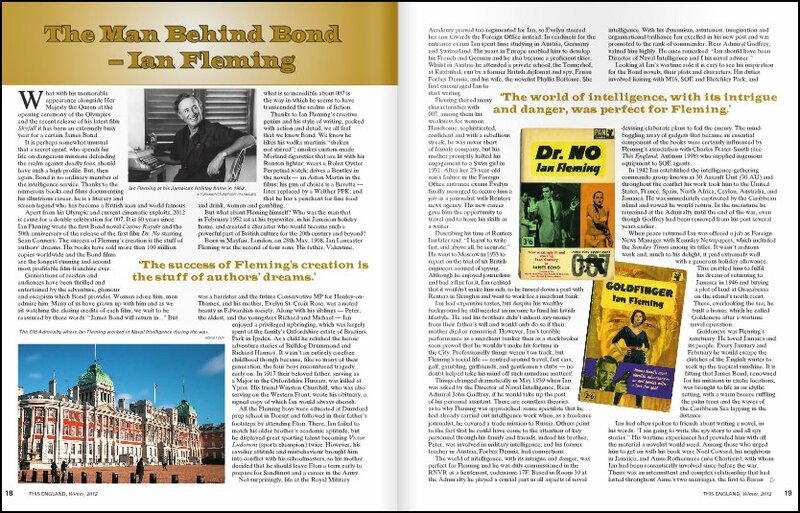 The latest copy of “This England” has a four page article on Ian Fleming and James Bond illustrated with several of the PAN Bond covers from the 1960s. 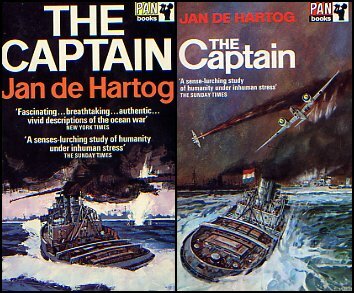 I recently spotted an edition of ‘The Captain’ by Jan de Hartog which made me look twice. I had the 1969 reprint version with a cover by Paul Wright but this looked different. It is the 1968 edition but why did PAN need to change the cover only a year later and produce two so similar? I recently ended up buying my own Christmas present which doesn’t seem quite right but if you want to be sure you get what your after then it’s the only way. 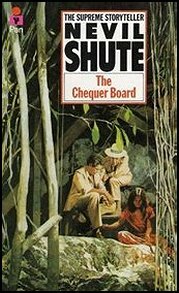 This time it was the original artwork for the cover of the 1982 edition of ‘The Chequer Board’ by Nevil Shute painted by George Sharp. We think George painted 22 of the 23 Shute titles apart from ‘A Town Like Alice’ which may only of had a TV tie-in cover but if you know better please let me know especially those in Australia. I have several pieces of original artwork mostly around the 12″ by 15″ size but I’ll let you guess what size my latest piece is? To find the answer just click on the picture below. I sent a message to Tony Knight via his site and he replied that he is very happy for me to publish this (spoof?) item although I’m not sure all the other people mentioned would agree! I am also very grateful to Tony for sending me several example of the ‘Invisible Ink Puzzle Books’ as they are very few and far between and even better most of them still have their pens attached!